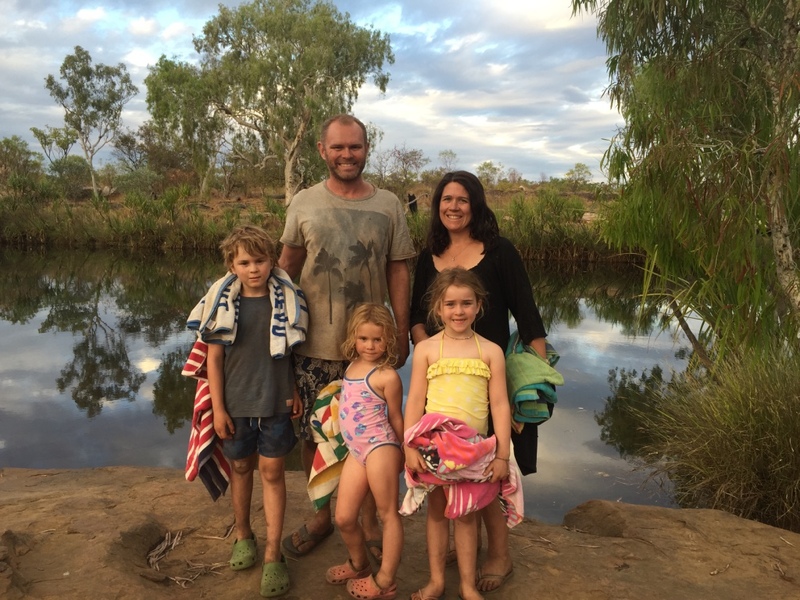 After our exciting Mitchell Falls adventure we headed back to Munurru (King Edward River) as we had not visited the sights there. 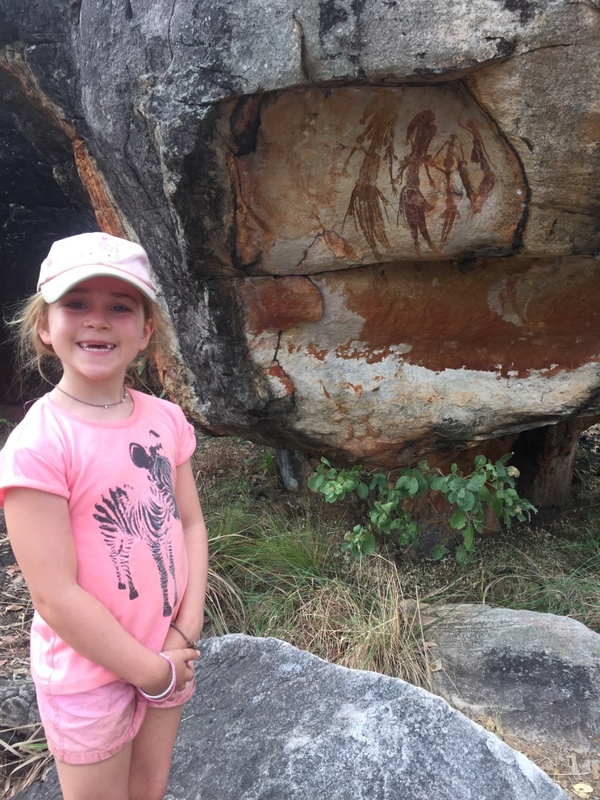 We arrived in the morning and went directly to the indigenous rock art sites which are scattered across two areas dotted with large boulders and rocks. 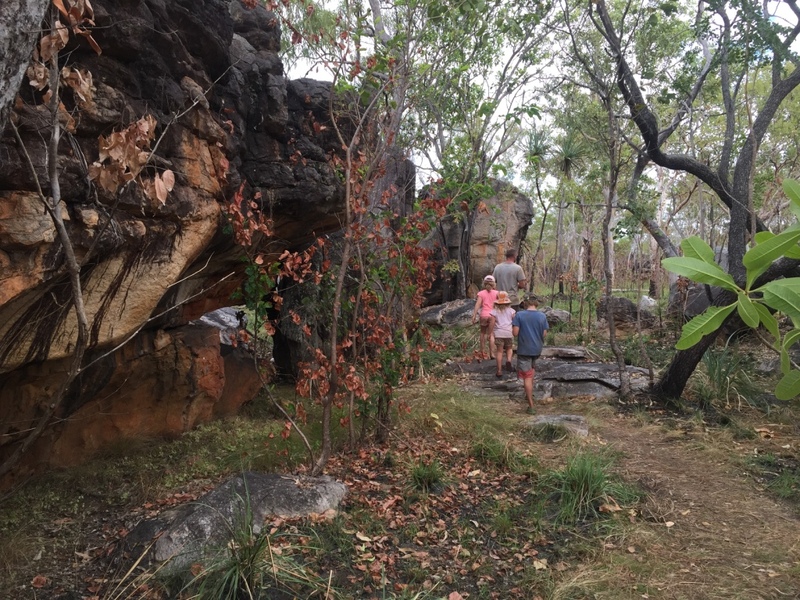 We set off walking through the boulders to view the rock art. 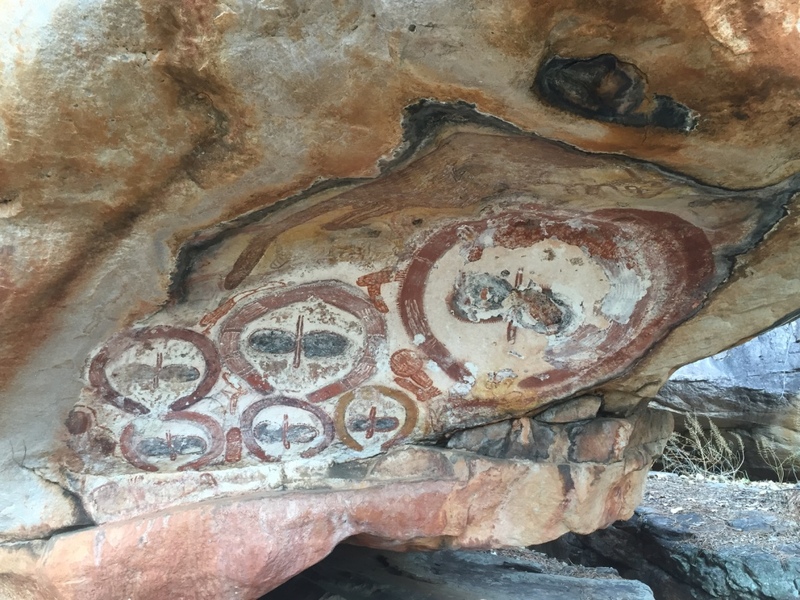 The area literally has hundreds of paintings in a range of styles some of which are estimated to be 25,000 years old. 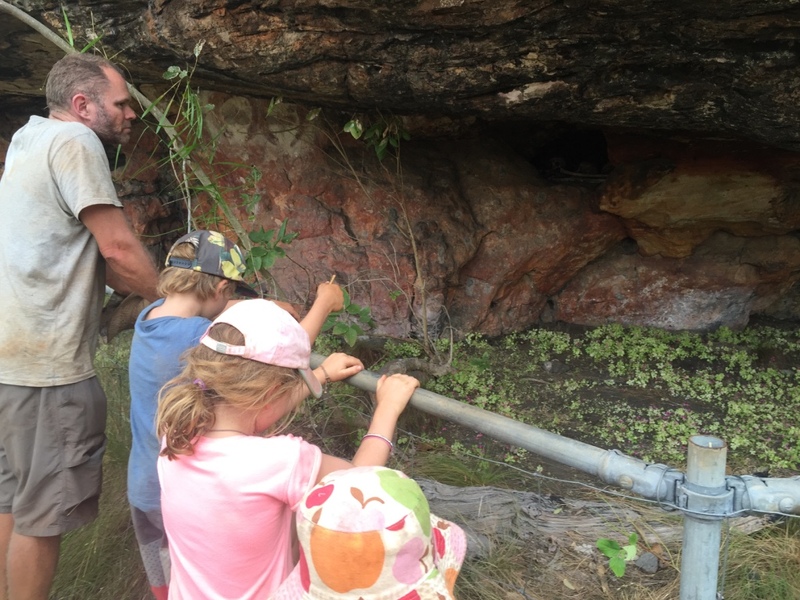 There were lots of tracks around the rock and the children enjoyed searching to find and decipher the paintings. 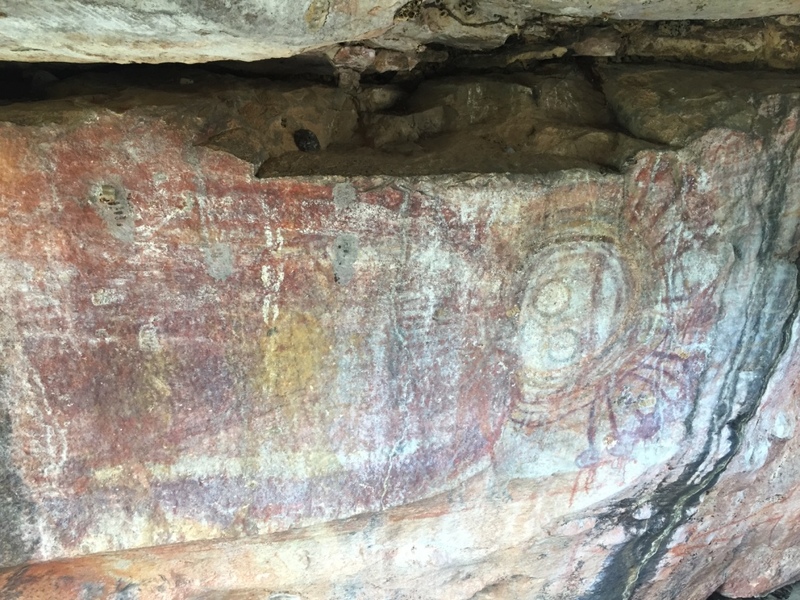 There was also burial sites with human bones – which is the traditional method of aboriginal burial. 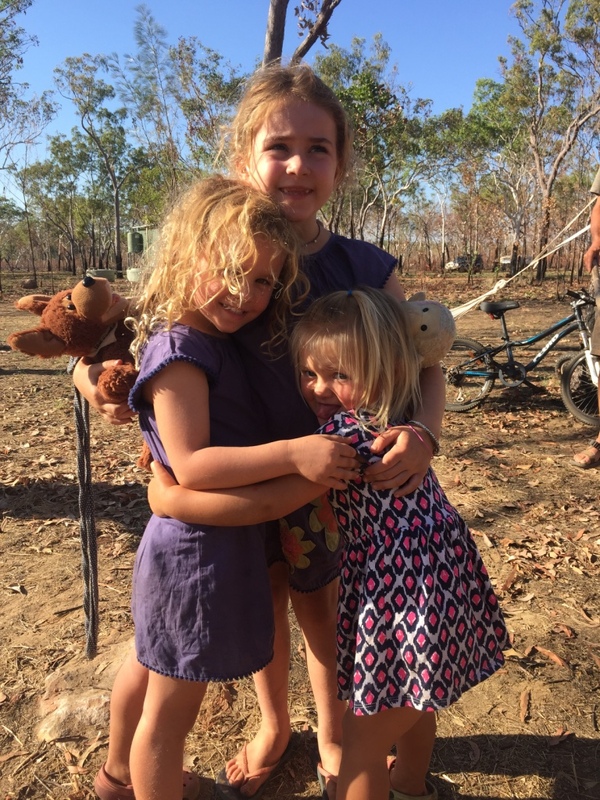 It was a special place and amazingly very accessible for visitors to come and see aboriginal history. 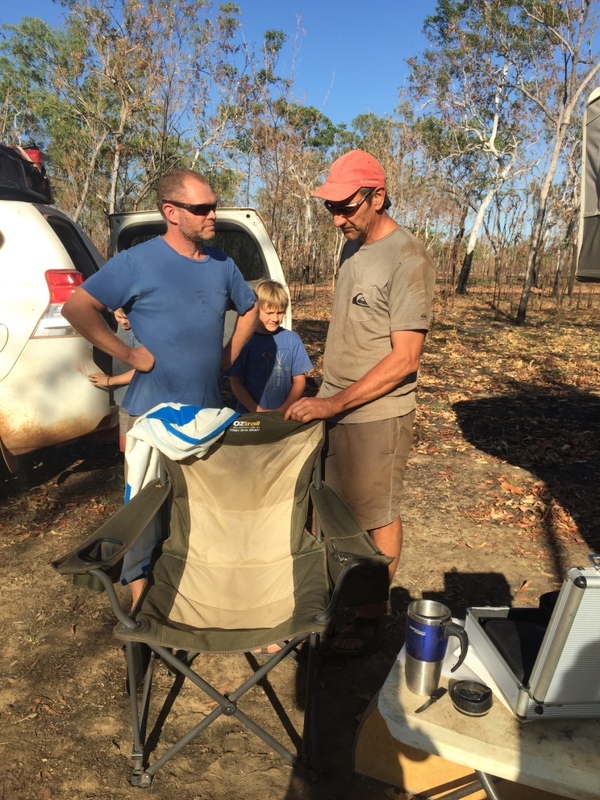 At the art site we met up with a family that had just retuned from a day trip to Kalumbaru, and had a terrible time with their Discovery vehicle height mechanism making the driving condition terribly slow and bumpy. 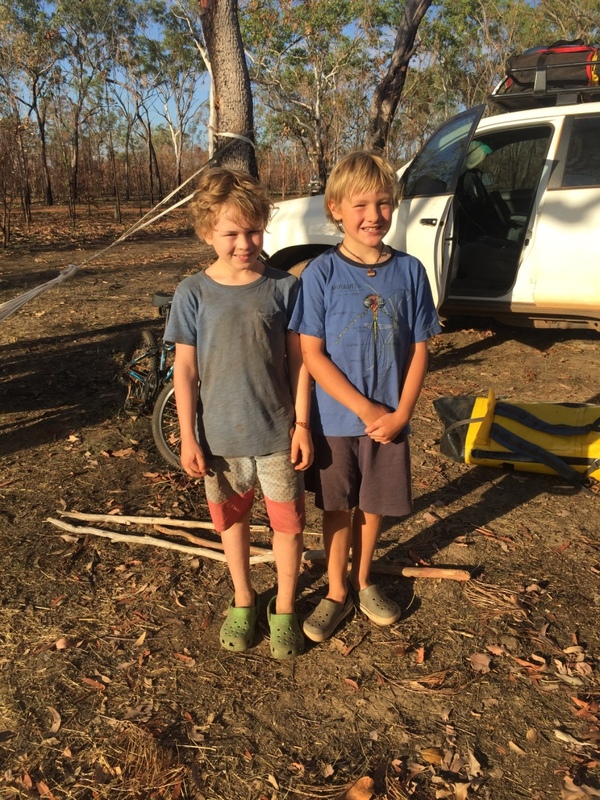 They were planning on limping out off the Gibb to get the car fixed in Kunanurra. 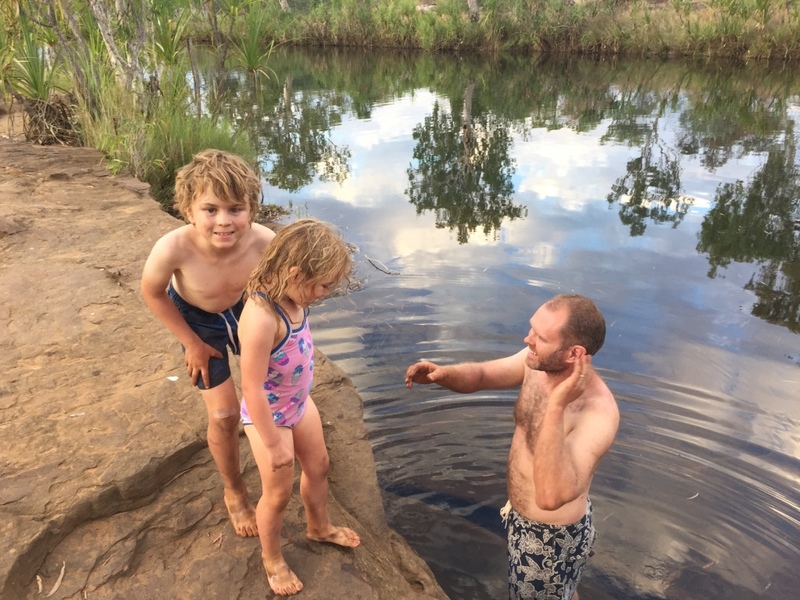 After enjoying the rock art we headed to the river for a swim…it was hot and sticky afternoon and the river was lovely. 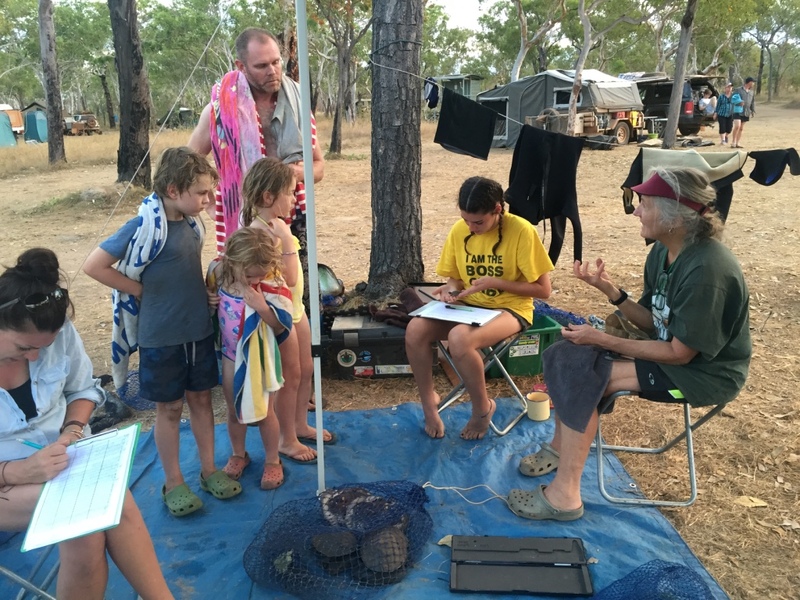 On the way back to camp we stopped to talk to a group of biologists who had caught hundreds of turtles to measure and record as part of an ongoing study and research of the freshwater turtle population in the Kimberley. 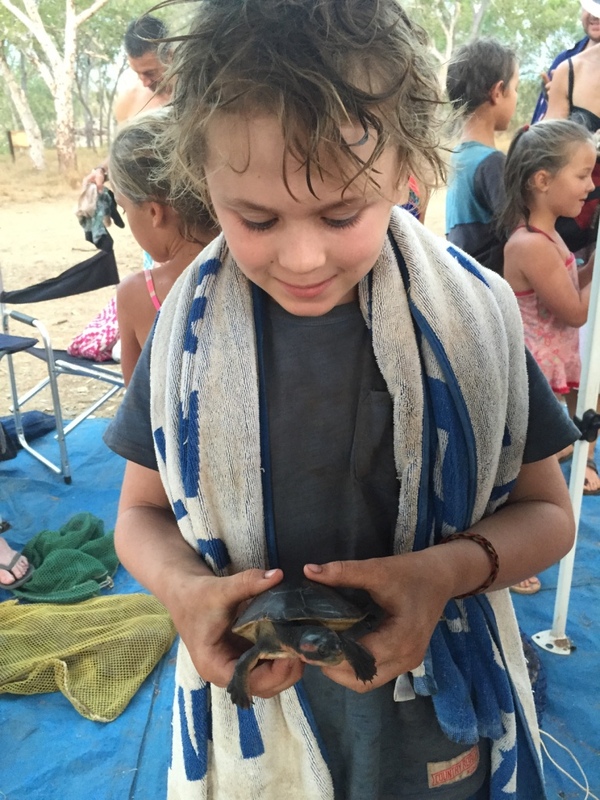 The scientists were from Griffith University and have been monitoring the turtles in the Kimberley for 15 years by snorkelling in the river and catching the turtles. 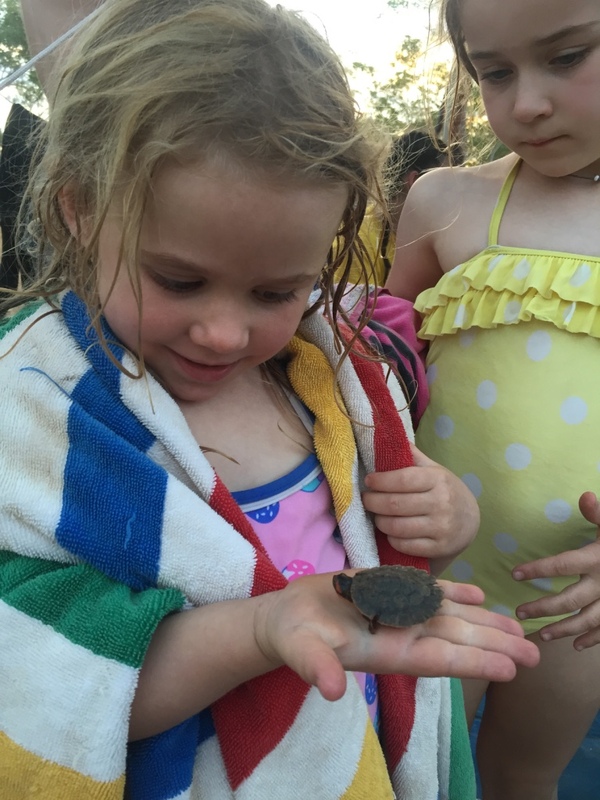 We all went over for a closer look and we got to hold some gorgeous baby red faced turtles and we got to pat some snake necked turtles too. 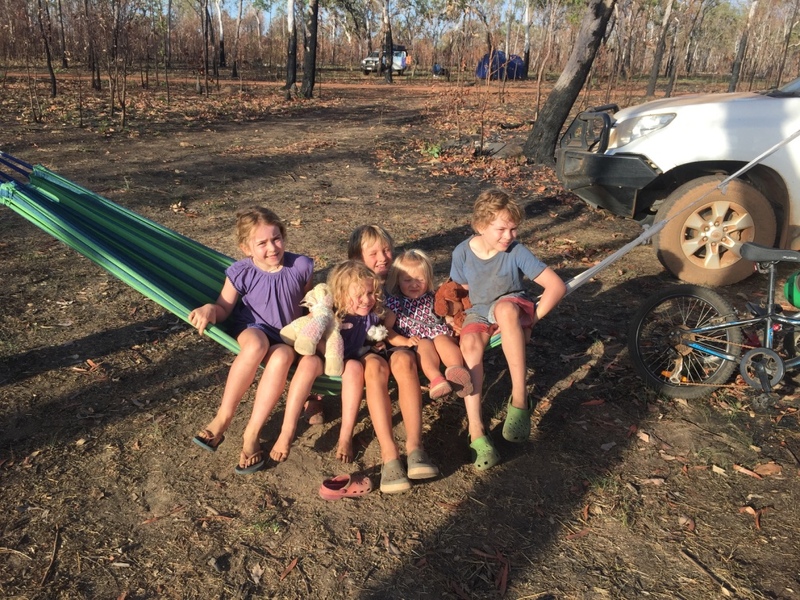 We had set up camp next to our friend’s caravan (which they had left at Munurru )and we enjoyed another evening in their company. 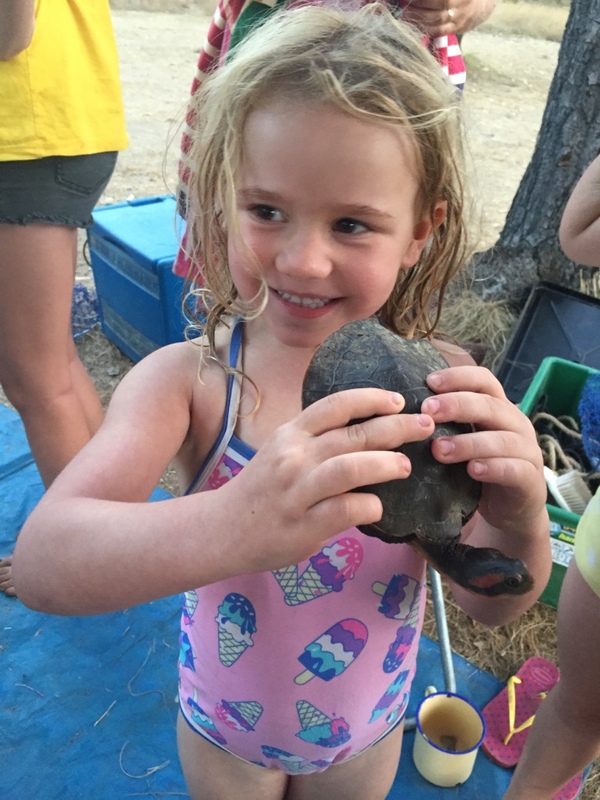 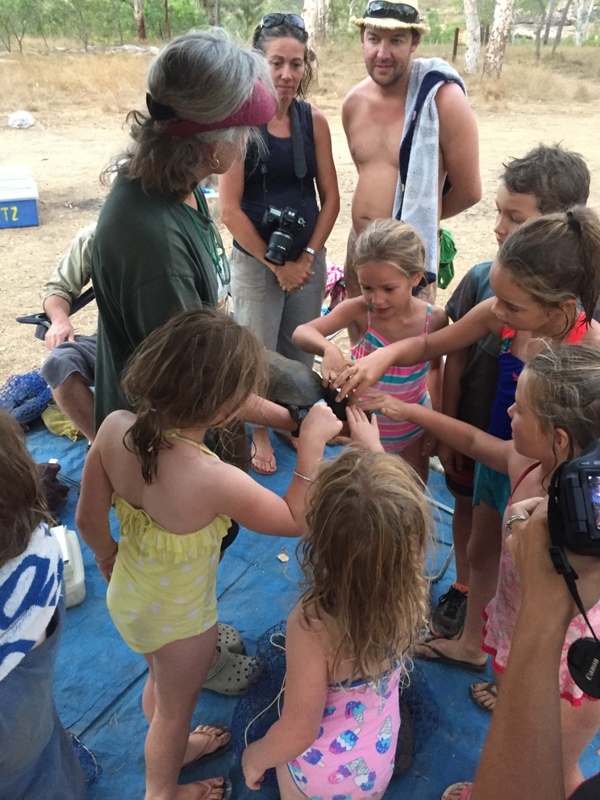 Meeting the Middendorf family was a highlight of our Munurru visit…and the turtles was a lucky bonus too.